Trump: What About When Hillary Lied to the FBI? Preisdent Trump senses a double standard when it comes to lying to the FBI. Former National Security Adviser Michael Flynn is in trouble for lying to the agency over his conversations with Russian Ambassador Sergey Kislyak last year. Trump, convinced that Secretary of State Hillary Clinton is guilty of misleading the agency as well, wanted to know Monday why she gets to escape accountability? 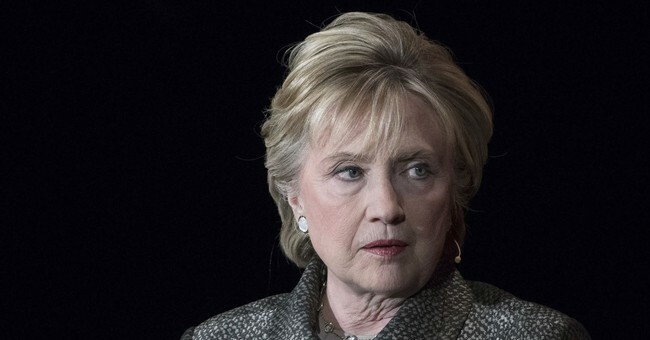 Trump insists that Clinton lied to the FBI during her interview in July 2016 over her use of a private email server during her tenure as secretary of state. "Hillary Clinton on the Fourth of July weekend went to the FBI, not under oath, it was the most incredible thing anyone's ever seen," he said to reporters outside the White House. "She lied many times. Nothing happened to her." "Flynn lied, and it's like they ruined his life," Trump added. "Very unfair." Unlike Flynn, however, Clinton was never charged with lying to the FBI. Trump's lawyer added to the Michael Flynn controversy when he tweeted Sunday from Trump's account that the president did not ask former FBI Director James Comey to end the investigation into Flynn's contact with Russians. The tweet gave new fuel to Democrats who are accusing Trump of obstruction of justice for firing Comey. Liberal lawyer Alan Dershowitz says that's ridiculous - the president was simply using his constitutional authority. In addition to lying to the FBI, Flynn was fired by President Trump last February for lying to Vice President Pence about his Russian contacts.